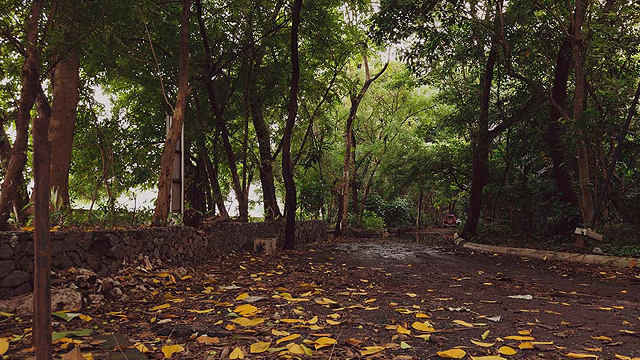 (SPOT.ph) Admit it: You’ve probably shed a few tears over an animated film or two before. Despite being marketed primarily for children, Disney-Pixar movies have always been more than just silly animations about talking toys or missing fish. Count on them to have a little something in store for everyone in the family. For fans (then again, who isn't? 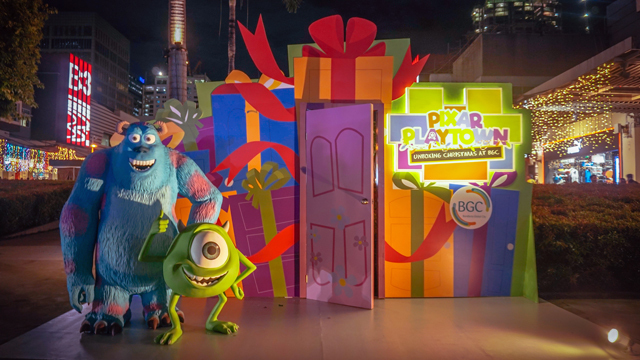 ), Christmas just got a whole lot merrier thanks to Pixar Playtown—Bonifacio Global City's special holiday display! 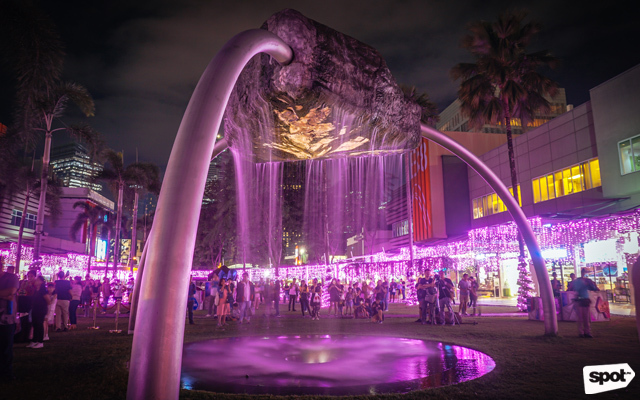 The fun installations were revealed on November 23, and will be seen all over the bustling community until January 7, 2019. 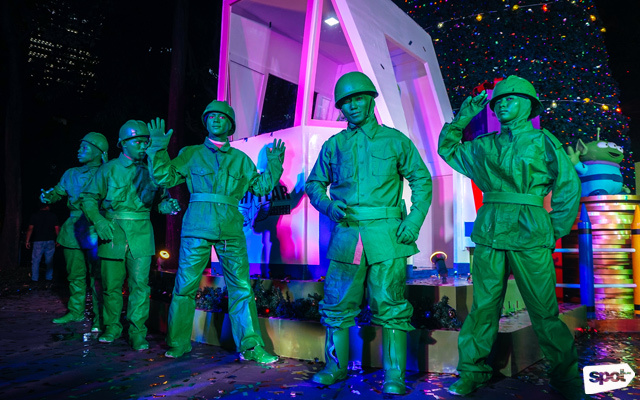 "Toy" soldiers helped with the Christmas display's big reveal. The Yuletide extravaganza's key centerpiece is a 50-foot Christmas tree, surrounded by some of the most well-loved Pixar characters. 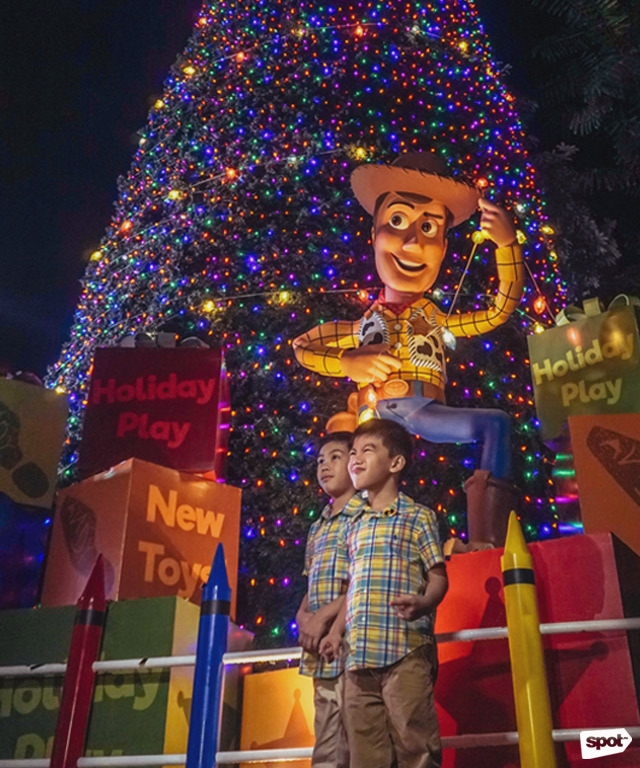 Take a photo with Sheriff Woody and his best friend Buzz Lightyear as the pair unboxes the "true magic of Christmas." 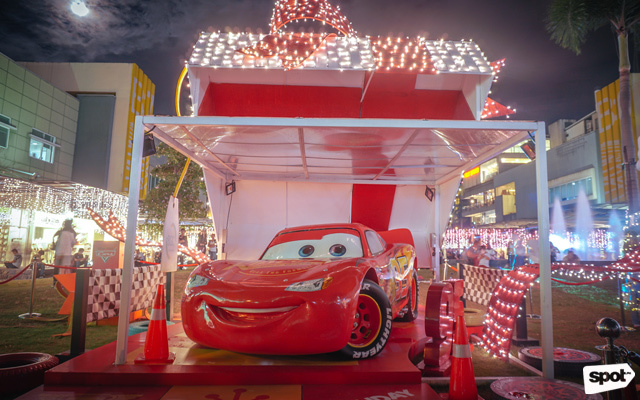 Surely you won’t miss the life-size Lightning McQueen light-up installation right in the middle of Bonifacio High Street, off to ka-chow his way into everyone’s heart. No one should forget about the fluffiest, “scariest,” blue-colored monster to have ever existed (in a movie, at least). Sully and his best friend Mike Wazowski will be waiting for you at 26th Avenue corner 5th—and they're not afraid of you possibly contaminating them. That's not all, though. You won't have to swim all the way to P. Sherman, 42 Wallaby Way, Sydney just to find the adorable clownfish we all know and love: You’ll spot Nemo and his ever-forgetful friend Dory at 5th Avenue corner McKinley. 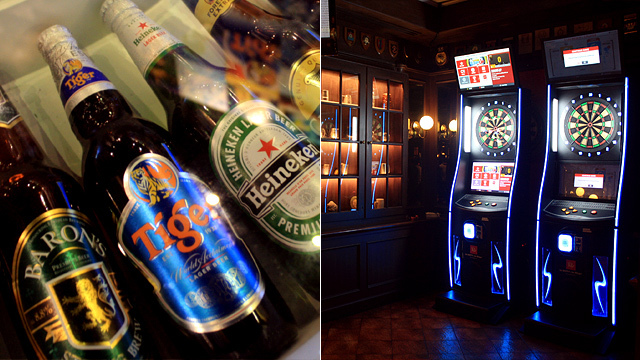 They're also lurking around a few other locations, so keep your eyes peeled in case you chance upon them. 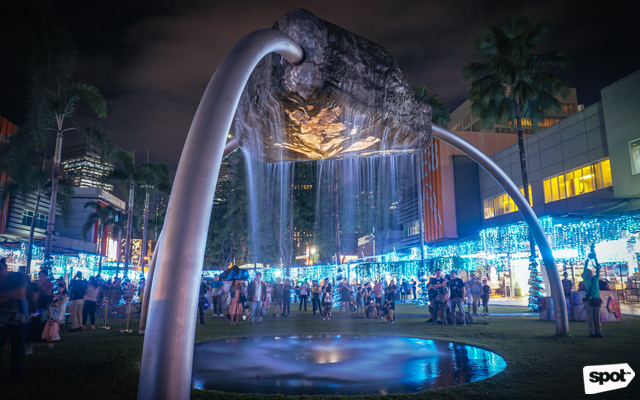 "Specific Gravity," a sculpture by Reg Yuson, rains down luminous water thanks to the lights. 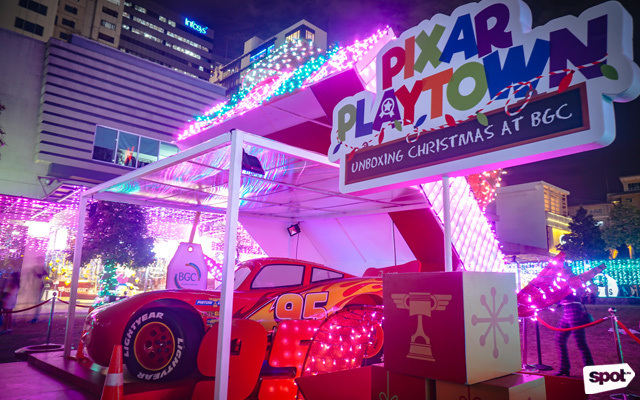 “With Disney Pixar Playtown, we hope to bring some cheer and magic into this wonderful festive season through our beloved Pixar characters and stories. In this season of celebrations, happiness, and togetherness, we hope to add a few more smiles to kids and families across the Philippines,” said Veronica Cabalinan, country head of The Walt Disney Company Philippines. The festivities in BGC don’t end there, of course. 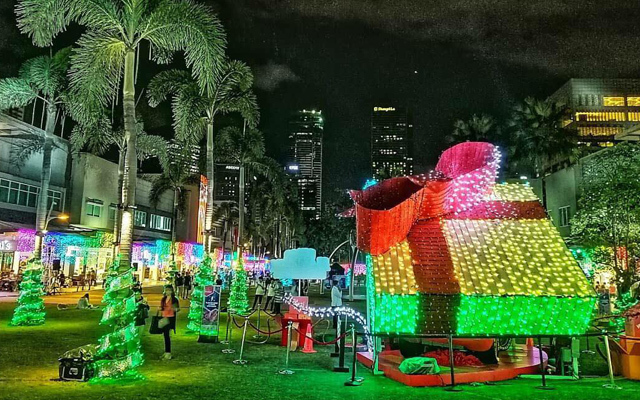 In case you still haven’t seen it, Reimagine the Magic: A Festival of Lights, the Disney-themed light show that initially opened in Makati, can also be found at the Bonifacio High Street Park. It runs every 30 mins from 6 p.m. to 10 p.m. starting November 23. 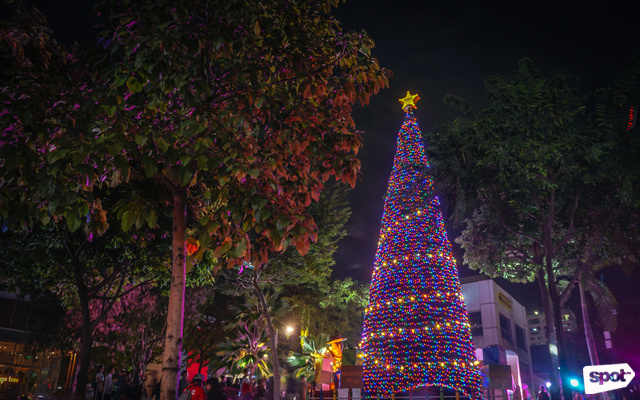 Other upcoming events you wouldn't want to miss include the Toys and Gifts Fair on November 23 to 25 at the Bonifacio High Street Park; the BGC Passionfest 2018 on December 1 to 2 at Bonifacio High Street; the Santa Meet and Greet from December 8, 15, 22, and 23 at One Bonifacio High Street; and the Polar Express: Christmas Rush Fair on December 15 to 16 at the Bonifacio High Street Ampitheater. 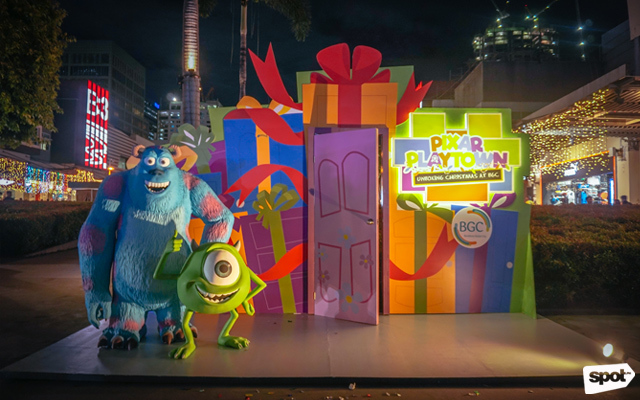 Pixar Playtown runs until January 7, 2019 at Bonifacio High Street, Bonifacio Global City, Taguig. For more information, follow Bonifacio Global City on Facebook.